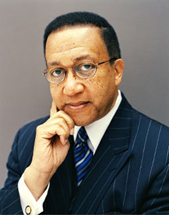 Written by Benjamin F. Chavis, Jr.
Sports are supposed to be the great equalizer. But you wouldn’t know it judging by the news surrounding the 2014 Winter Olympics in Sochi, Russia. The impact of these bigoted slurs, if left unchallenged, will have a negative impact in the future way beyond sports fields and arenas. Of course this is nothing new. From the racial insults that Jackie Robinson had to endure in Major League Baseball to the mind-changing victories in the boxing ring that accompanied the victories of Joe Louis and Muhammad Ali, there has been a long history of racism in the world of sports. At the same time, we should also acknowledge that sports have provided enormous opportunities unavailable elsewhere. We all should never forget that at the 1936 Olympics in Berlin, Germany, Jesse Owens’ track and field victories dismembered the racist Aryan supremacy mythology of Adolph Hitler. It was the success of the African American athletes at the 1936 Olympics that helped to U.S. to achieve victory. Of the 11 gold medals that the U.S. won in Berlin, six were won by African American athletes. Jesse Owens alone won four gold medals. After Owens won the 100-meter event, Hitler became so embittered and angry that he stormed out of his seat and left the stadium in a rage of defeat. At the 1968 Summer Olympics in Mexico City, Tommie Smith and John Carlos won the gold and bronze medals in the 200-meter race. When Smith and Carlos stood to receive their medals as “The Star-Spangled Banner” was playing, each man raised a clenched fist to protest racial injustice and as a symbol of solidarity with the Civil Rights Movement in America. The national and international media immediately painted Smith and Carlos as outcasts for daring to once again use the Olympics as a venue for promoting social change. The Black Press in the U.S., however, correctly portrayed Smith and Carlos as courageous “Black power” advocates and international sports heroes. In the National Football League, it was not until the 1987 that an African American played quarterback in a Super Bowl Game. Super Bowl XXII saw Doug Williams of the Washington Redskins earn that honor while also winning MVP honors. He led Washington to a 42-10 victory over Denver. It’s necessary to have that backdrop to understand controversy that continues to dog the Seattle Seahawks’ star cornerback Richard Sherman as he prepares to play in the 2014 Super Bowl against the Denver Broncos. The controversy started immediately after Seattle defeated the San Francisco 49ers at home. On the last play of the game, Sherman prevented San Francisco from scoring by successfully deflecting a pass intended for 49ers receiver Michael Crabtree. After the final whistle, Sherman boasted that Crabtree was incapable of covering him. Sherman was widely criticized for this purportedly poor sportsmanship. Not to understand Sherman is not to understand the mindset of an NFL cornerback. It’s matter of pride that they shutdown highly-publicized re­ceivers. In fact, they consider it respect when the QB refuses to throw to their side of the field. If they go ahead and throw, they will pay dearly for it. Sherman made them pay and that’s why he was so effusive after the game. Not only was Sherman depicted as a jerk, he was portrayed as a dumb Black jock from Compton, Calif. But the images don’t match reality. Sherman graduated second in his high school class, with an A average.” At Stanford, he excelled academically and athletically. Yet, because of his strong personality and “threatening” dreadlocks, some people feel free to pile on when he’s down. What they won’t tell you is that upon further review, as they say in the game, Sherman is seen reaching out to shake Crabtree’s hand and the gesture was rejected by Crabtree. It was then that Sherman exploded, reminding Crabtree that he is the best cornerback in the NFL. No, he is not a thug, just a confident athlete who starred on the big stage. As the biggest of the big stages approaches, all eyes will be on Sherman. We say we get tired of the usual clichés that characterizes the speech of athletes and coaches. Yet after Sherman broke the mode, he was criticized by those same sports writers who profess to want something different. Of all the things Sherman said two weeks ago, he spoke loudest on the football again.